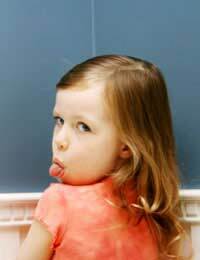 Every child will misbehave and be unruly at some time. But there is a fine line between you disciplining them effectively and authoritatively and being considered in the eyes of the law as being a bullying parent. What Can I Do as a Parent to Discipline My Child? As a parent, you have the legal and moral obligation to ensure that your child is both looked after and well behaved. Many parents feel that by shouting at their child they are making sufficient strides to ensure their behaviour. However, this is not always the case and may be considered to be emotional bullying, especially if reported to the relevant authorities. Smacking Your Child is something that the law says we probably shouldn’t do, but there are some who say it is the only way to ensure their child understands the message they are trying to reinforce. Smacking in some countries, including Germany, Spain and the Netherlands, has been banned, but in the UK smacking or 'reasonable chastisement' is acceptable in the eyes of the law. A light smack to the back of the legs is acceptable and many say this is the best way to discipline their child. However, any smack or punishment that leaves clear marks, welts, bruises or scratches is a prosecutable offence, and a parent could face up to five years in jail. How Best to Discipline Your Child? Every parent has their own ideas as to how best control their child. For many, a light smack to the back of the legs or hands is sufficient for the child to know that what they are doing is wrong. This can be supported by a verbal scolding but really should not go any further than that. Other forms of punishment include grounding your child (denying them playtime outside with friends), loss of privileges such as television and computer game console time, and loss of pocket money. These are, of course, only suggestions but it is the right of every parent to have the final say on how to discipline their child. If you are in any doubt as to what the law says on the subject of disciplining your child, it is worth visiting the website of the National Society for the Prevention of Cruelty to Children (NSPCC) who offer practical advice and support on this rather tentative subject. Your local authority’s child welfare department can also offer advice as well as parental training classes for those parents who might prefer some additional help. UK law is not allowing parents to discipline their own children.As a result we are seeing useless, homeless and criminal minds kids everywhere. There are lack of skilled kids now a days, thats why UK needs to hire skill worker from the countries where there are free to discipline children as parents like. UK hire so called talented worker from country like India. The fact is they are jobless and useless in their country and UK count them as talented and highly skilled. In Asian and Other countries child are slapped, bitten and disciplined by their parents but child still loved their parents and support them till their death. Animals give birth to baby, feed them, care them till they are capable of themselves, and they seperate. Western Countries are following the same animal culture. Hi I really cannot understand the fuss about smacking your child and what is the need for removing it from schools. I got the cane from age 7 to 18 in school and it made me a better person. It made me respect my teachers, parents and myself. If I look at modern parents they look lost as they can't seem to control their kids (They bribe them with sweets or throw a tatrum). Kids do not respect laws anymore. I catch them continually stealing from stores swearing at shop owners and police when they get caught. Do we think this modern way of teaching our kids not to respect their parents or anyone else including themselves are a good thing. So, all I am trying to say is that children get abused in all forms.So don't think cause you are not smacking your child you are now not abusing them. We as parents need to understand that you can still be a loving parent and good parent even if you give your child a hiding. The conclusion to my story is that I still love my parents and still talk to my teachers as I know they all cared for me and made me a better me. Hi my son was misbehaving in class in which a teacher phone to explain when I'd went I did shouted at my son for misbehaving and told him that I'd take his game console out of his room and was grounded next day social services and police came to the door and said what I'd done was wrong but worst of all my son had only made lies up saying that I've hit his mam and I've thrown keys and plates at him I'm frightened I'm going to lose him has he been getting bullied in school as well in which I been asking for help for last three years I don't know who to turn to. See if you can get some help from children's services at your local council - they may be willing to refer you for parenting classes etc. The Family Rights Group helpline is also a good place to get help. Hi my son was misbehaving in class in which a teacher phone to explain when I'd went i did shouted at my son for misbehaving and told him that I'd take his game console out of his room and was grounded next day social services and police came to the door and said what I'd done was wrong but worst of all my son had only made lies up saying that I've hit his mam and I've thrown keys and plates at him I'm frightened I'm going to lose him has he been getting bullied in schoolas well in which I been asking for help for last three years I don't know who to turn to. When your 11 year old step son will not do anything he is told. Do what he wants. Will not stay in when grounded. Go to bed when told. Stop you sleeping by standing in your room talking or being noisey. Rips up things. Laughs in your face. Says his mum is stupid. Nothing she can do. Calls me rude names. Simply got used to doing what he wants.Saying you can't touch me. You can't make me do anything. We try to take Xbox or phone away as punishment. But he will not let us take it and can't risk touching him. As he says he will call the police. All he wants tobdo is eat crisps chocolate. Chips. Play on his xbox. Playing fortnite, gets violent if we try to turn it off. What do we do? My girlfriend ended up ditching about a week in total time over the span of 5 months. She have been grounded for the past 5-6 months and has about 1-3 months left. On top of being grounded she has been treated like crap by her mom and dad. Her mom consistently yells at her even when I'm standing right next the her. She is afraid to go home everyday because of her dad but she won't tell me why. Is it legal to do that? It is legal to "ground" a child but if you think there is something untoward going on in the home, encourage her to call Childline and talk about it. My mother made me leave all my friends to go to netball or otherwise I had to go straight home, be grounded for a month and give her £25 is that illegal? I have smacked my 13 years old daughter for bad behaviour and been charged by police I have court in two days do I have any rights taking in account it’s the first time ever I have done such a thing without the intention of causing harm and didn’t leave a mark ? You will need to argue your case in the courts, we can't really comment on this. My daughter was late home after she had a sleepover with her friends now she told me she was up all night and woke up late so we had a argument and now all of her technology has been taken away from her and she has been grounded for about a month now is this the right thing that I have done? Last night I was shouting at my daughter for leaving rubbish and dishes in the kitchen. She is 19 and is home from university for the summer. She proceeded to scream and shout and smash her room up. SHE called the police and said I was screaming at her for not doing her chores. The police arrived. I was downstairs she was up no physical contact had happened just a mother and daughter shouting at each other from a distance. The police arrived and threatened to arrest and remove me from my home because I was Breaching the peace. They made matters much worse. Can I complain because this can't be right. Who do you want to complain about? Last night I was shouting at my daughter for leaving rubbish and dishes in the kitchen. She is 19 and is home from university for the summer. She proceeded to scream and shout and smash her room up. SHE called the police and said I was screaming at her for not doing her chores . The police arrived . I was downstairs she was up no physical contact had happened just a mother and daughter shouting at each other from a distance . The police arrived and threatened to arrest and remove me from my home because I was Breaching the peace .. They made matters much worse . Can I complain because this can't be right .. I seem someone smack a child In the face is that right? @mumof8. They may stay in contact to keep an eye on any future developments. My daughter and the father of my grandchild separated late last year so my 2yr old grandson sees his dad every Tuesday and every other weekend. For the last few times he has come home from being with his dad he has been upset and told his mum (my daughter) that his daddy smacks him and it hurts. Now I know children of all ages can be naughty,but it seems my grandson is being smacked for not saying goodbye to his other nana and granddad and his dad's new girlfriend, am I wrong in thinking that he's just too young to understand this new change in his life and his dad should not be smacking him for such small things? It's breaking my heart. @Nan. If both parents have PR - something as important as changing the child's school should have the consent of them both. Your daughter can follow this up via the courts. Is it legal for my daughters estranged husband to change their son's school without my daughter being notified? @Legendisthename. No there are no laws on this, all parents decide on these things according to the circumstances. This person should speak with their parents to negotiate an outcome so that the parent knows they can trust them enough to remove some of the grounding restrictions.